EghtesadOnline: Last Sunday, the president’s nominee for the Ministry of Economic Affairs and Finance, Masoud Karbasian, the former director general of the Islamic Republic of Iran Customs Administration, won the parliamentarians’ vote of confidence. On the same day, Rouhani appointed one of his close confidantes, his former chief of staff, Mohammad Nahavandian, as the head of a freshly-revived Department for Economic Affairs. It won’t hurt to mention that Nahavandian was said by informed sources to be the president’s first choice for the minister of economy but his controversial history with the parliament dissuaded Rouhani from including him on the list of ministerial nominees. A couple of days earlier, Masoud Nili was tapped as the president’s special aide in economic affairs and the secretary of Economic Coordination Headquarters. The veteran economist was the president’s senior economic advisor in the past four years. There are even other officials in the administration, bearing “economy” in their titles such as First Vice President Es’haq Jahangiri who doubles as the head of the Resistance Economy Command Headquarters, Financial Tribune reported. Several economists have questioned the over-manning strategy employed by the president in his new administration and have warned against top economic officials’ probable overlapping and conflicting policies in interviews with news agencies, Persian dailies and Financial Tribune. A clear context for duties, roles and responsibilities of the three new members of the economic team needs to be set to avoid any future conflict of ideas in the government or task duplication, economist Vahid Shaqaqi-Shahri told Fararu. “Failure on the part of Nili and Nahavandian to work in coordination would reduce their decision-making power and impede economic progress,” he said. Referring to the US Council of Economic Advisers, the economist said the council is responsible for preparing the annual economic report, reviews economic indicators and recommends corrections to the president if federal agencies’ activities don’t support economic initiatives, among other things. “A similar council could be established in Iran. However, consultation is different from having legal responsibility,” he said. The CEA was created by the US Congress in 1946 to advise the president on ways “to foster and promote free competitive enterprise” and “to promote maximum employment, production and purchasing power”. Asked about the goings on in the new Cabinet, Economist Pouya Jabal Ameli told Financial Tribune that the main reason behind the appointment of Nili and Nahvandian seems to be the president’s wish to enjoy the expertise of the elite group of individuals in economic policymaking. “But the new economic division might turn out to be counterproductive for the government in the long run. For example, the department [Nahvandian will spearhead] might employ workforce in the coming years and that would increase bureaucracy and make the government bigger, which is quite the opposite of the vision plan outlined by the administration [to implement economic reforms, downsizing and streamlining],” he said. Underlying the point that new roles and responsibilities should be specified for the new economic division, Jabal Ameli said with new assignments like management of foreign finances, the Ministry of Economy grew in size following the Joint Comprehensive Plan of Action [the nuclear deal Iran reached with world powers], which responsibilities can be delegated to the newly-formed economic division. 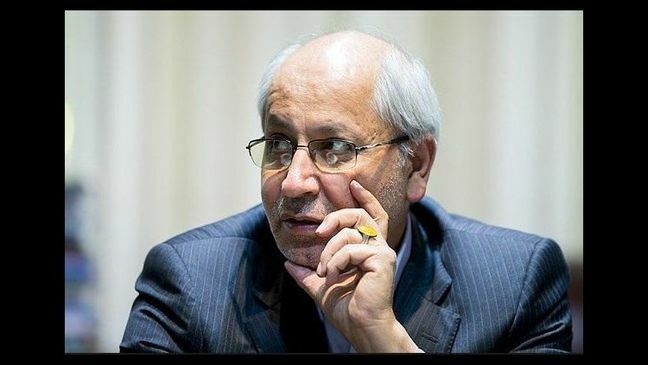 Coordination and detailed demarcation of the duties of members of the economic team is the first step toward clearing the critical hurdle in the way of Iran’s economy right now, economist Ali Farahbakhsh told the Persian daily Donya-e-Eqtesad. “Lack of the description of the new position’s duties runs afoul of transparency and gives rise to more ambiguities,” he added. Criticizing the logic behind the creation of departments only to give posts to officials, eminent economist Hossein Raghfar said each member of the government’s economic team, including the governor of the Central Bank of Iran, the head of Planning and Budget Organization, and economy minister, has had specific responsibilities so far. “The question is what roles they will play in the new economic department,” he was quoted as saying by the Persian daily Jahan-e Sanat. Mohammad Baqer Nobakht, the head of Planning and Budget Organization of Iran who is another economic figure in the Cabinet, faced these questions in a TV program on Tuesday night. “The members of the economic team could be even more. The economic decision-making structure [of the government] won’t suffer from diverse ideas, rather it will benefit from it. Given the complexity of economic variables, the government has become entangled in a difficult situation. On the one hand, we have to enforce expansionary policies to promote economic growth and fight recession; on the other, we have to pursue contractionary policies to curtail inflation,” he said. Nobakht noted that to ensure collaboration between members of the economic team, they will meet twice a week in the presence of the president. “The president’s circle of confidants, including his special aide [Nili], will discuss all issues in the council and make decisions on how to resolve the problems. With his knowledge of economics, Mr. Nahavandian will facilitate coordination and harmony. And this will lead to more serious decisions by the Cabinet. People and economic operators will have more confidence in these decisions as well,” he concluded.